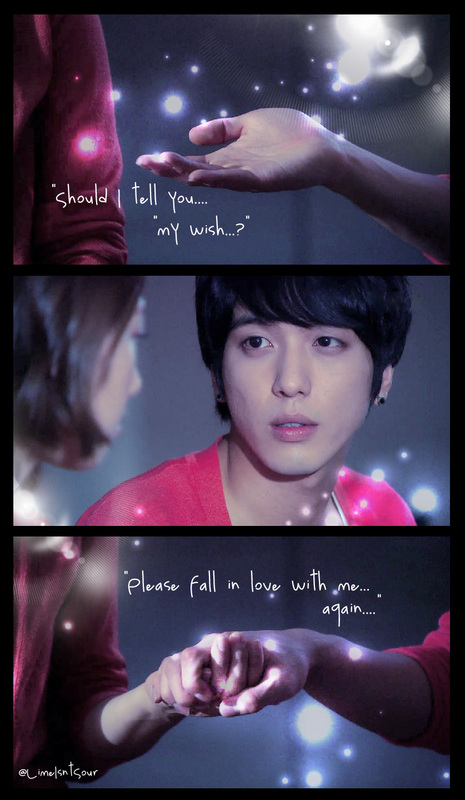 It used to be a drama that would bring me to an idol but it was CNBLUE’s Jung Yonghwa that brought me to HEARTSTRINGS. That was six months ago. Today, HEARTSTRINGS marked its third anniversary and while I’m new to the whole CNBLUE and HEARTSTRINGS fandom, I am amazed at the amount of love that it continues to get from fans. Do fans even celebrate the X anniversary of METEOR GARDEN or HANA YORI DANGO, two of the most iconic Asian dramas? So yes, do you know HEARTSTRINGS? Yonghwa wants to know. Yes, I do know HEARTSTRINGS. 1. It’s Yonghwa’s first drama lead role and co-stars him with his close friend Shinhye. His character, Lee Shin, finally gets the girl here, unlike Shinwoo in YOU ARE BEAUTIFUL, which also co-starred Shinhye. 2. During the filming, Shinhye met an accident, cutting the episodes to 15. The accident prompted Yonghwa to take to CNBLUE’s Twitter account to cheer her up. 1. Of course, Lee Shin, who has set a very high standard for boyfriends: while he is arrogant and narcissistic, he is also the sweetest, most caring and considerate boyfriend, even sacrificing his own dreams for his girl. 2. Grandpa. His arrogance and sarcasm coupled with his grumpiness made him an entertaining and endearing character. 3. The little sister Lee Jung-hyun. She was the perfect antagonist to the romance of her oppa and Lee Gyuwon, as well as the perfect foil to Grumpy Grandpa. Though I’ve never seen such a roundabout way of confessing love to someone, no wonder, Lee Gyuwon misunderstood Lee Shin the first time he did it. 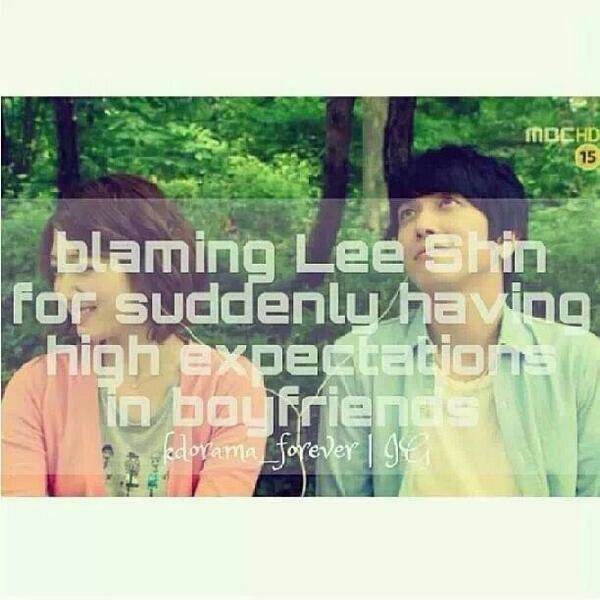 Aww Lee Shin, where to find someone like you? It was Yonghwa’s choice to sing Lucky by Jason Mraz for that camp scene. Otherwise known as the I’ll-steal-you-away-from-Bo-Woon date, where Lee Shin takes Gyuwon to the park to let her hear his composition. They played the song with their gadgets and later listened to his mp3 player with Gyuwon stealing glances at him, prompting Lee Shin to quip: “Don’t just look at my face, listen to the music.” Narcissistic as ever but melts-in-your-heart Lee Shin. When Lee Shin stole her away from the rest of the students. No wonder this was a favorite among Japanese fans in the 2012 HEARTSTRINGS fan meet. It’s just so sweet. This has got to be the sweetest. Inside Lee Shin’s room but was foiled by the little sister. I personally felt it was a light kiss considering it was Lee Shin and Lee Gyuwon’s reconciliation scene (and ending at that) and should have been more passionate. Then I saw the gifs of the nose kiss and I was like Junhee the first time he saw his Natasha. There are so many plot points in the drama that made me wonder if the writer took inspiration from real life. Like for instance that campus scene when Lee Shin holds the hand of a reluctant Lee Gyuwon as they walk through school, leaving fangirls (and fanboys) nosebleeding and dead in their wake. And when Gyuwon tied her hair scared of antis and violent fangirls and Lee Shin assured her “don’t worry, I’ll be by your side”. It can happen, who knows. It’s also one of those dramas I can watch over and over again because as dramabeans said in its review, the chemistry of Yonghwa and Shinhye is just so natural. I have sworn off shipping more than a year ago but because of Yonghwa and Shinhye, I’m sailing a ship again. Their natural chemistry and real-life closeness jumps out of the small screen and that’s what held the drama together plus the engaging performance of the ensemble cast, and of course, the OST. Yes I do. And I love it. I still re-watch Heartstrings now and then and each time I watch it, I still find a smile on my face. One of my favourite scenes is when she got drunk and leaned against his shoulders. The faint smile on his face as she did that was just sooooo sweet, and then the following morning when he waited for her at her door just to tease her. They really have the best chemistry between them, as they just look so natural together. I love Grandpa, little sis and Bouwan loads. Especially Grandpa when he starts talking about his life story. i thought Yong Hwa did a great job during the sad scenes, especially when after his father passed away and he was crying in the rain. I love all the songs in the drama, but Because I Missed You is my favourite. To find out later that it was actually composed by Yong Hwa made it even better. Heartstrings is a sweet and simple drama, one that evokes memories of first innocent love and that’s why it will forever be in my heart. Yes I do to know Heartstrings. Happy 3rd anniversary. wait, JYH composed Because I Miss You? I was trying to find info on the song but couldn’t. let me edit my entry. thanks for the info! Yup he composed Because I Miss You and it was all done during a toilet break by papa Han or someone, who was originally supposed to compose the song. There was some article back then that talked about how he composed this song. He said he already had a vision of how the song should sound like for the relationship between the father and the son, and so when the original composer took a toilet break, he wrote it on the spot. When the original composer came back, he let him listen to the melody and he said it was good. So the original composer just wrote the lyrics to the song. I’m not so sure about Comfort Song though. I thought someone else composed and sang that song in the original OST, but they had him sing the full song in the Japanese DVD special since it was so well received. I could be wrong on this. Anyway, he did a great job in Heartstrings and I’m happy that the love for this drama from fans around the world is still so strong (who cares about ratings in Korea!). I agree with you on everything except one thing: there is a third song, isn’t? I actually remember an interview where he said that he wrote it just before the scene recording. OMG he wrote the Comfort Song?! now it’s even more special now.